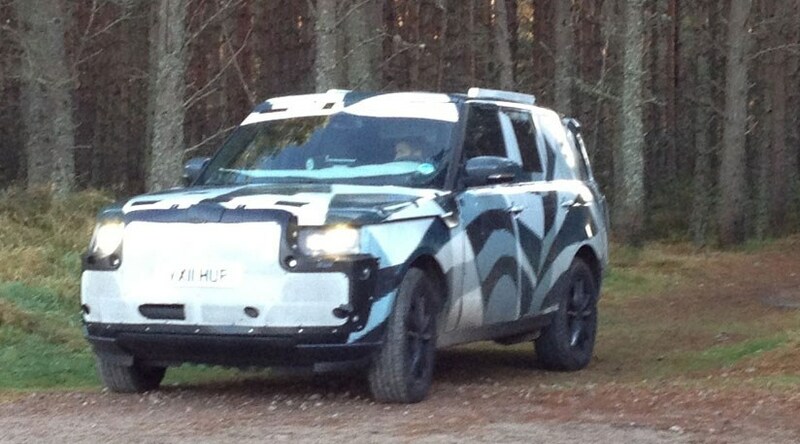 CAR reader Pete87 spotted the new 2012 Range Rover in a wooded area up in Scotland - and was quick enough to rattle off some quick spy shots for us. 'I spied this Range Rover sitting in a small car park inbetween Boat of Garten and Aviemore in the Scottish highlands,' he tells us. 'I tapped the window and spoke to the driver (who was on a laptop), asking a few questions. What kind of car is it? "I couldnt say." Is this a test car? "I couldn't comment". Good work Pete87. You'll be the next Hans Lehmann if you carry on like that! 'It is pretty clear that the new Range Rover looks lower than the current model,' he continues. Expect to see the new Range Rover launched in summer 2012. Click here for CAR's full scoop on the new 2012 Range Rover.